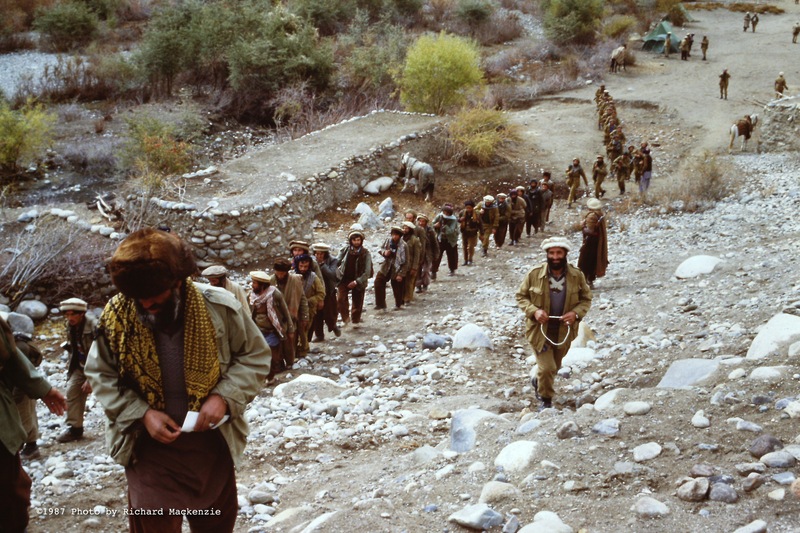 Days turned into weeks, as a team of 20 or so mujahideen and I waited around the clock for Ahmad Shah Massoud in the autumn of 1987 in the North Afghanistan wilderness. As time went by, more and more of the partisans fighting the Soviet invasion and the Communist regime continued to arrive. Waiting and frustrated by the fleeting time, I was welcomed, hosted and comforted by a former medical school student who now commanded the resistance in the area. Aged 36, married and the father of a growing family, Sayed Husain had years earlier joined an anti-Communist student group at Kabul University. Arrested before he graduated, he spent a year and a half in the infamous Pul-i-Charki prison but was then released. He found his way to the North where he joined and rose to help lead the resistance in Takhar Province. He had come south from Takhar to this village as part of a unification campaign that he helped launch with Massoud’s forces. As night falls, we sit in a circle in our room by the light of a hurricane lamp, first for dinner and later to listen to the BBC on a small battery-operated shortwave radio, our only link with the outside world. Dr. Husain, as he is known to his team, leads lively discussions that occasionally stretch into the late hours. We talk not only about Afghan politics and the goal of driving the Soviet Union back across its border. They also ask informed questions about the next U.S. Presidential elections and America’s attitude to their neighbors, Pakistan and Iran. I would later write that these mujahideen were an eclectic crew. They were unified by intelligence, strong morale and a sense of humor. In a country with overwhelming illiteracy, most of these young men have university educations. One in our group majored in Physics. Another studied Engineering. But the most important thing to them all, of course, is their faith. Every day is structured around their practice of Islam. They take turns leading prayers. Death is no threat in this group. It is a reward that awaits. As bright and engaging as they are, as strong as their devotion may be, the thought of these young men defeating the vaunted Red Army of the Soviet Union is tough to imagine. Even if they are waging classic guerilla tactics, a “war of a thousand cuts,” I question whether victory is probable or even possible. Is it all not just wishful thinking? I will later begin to understand more of Dr. Husain’s predictions when Ahmad Shah Massoud arrives and I get an “inside” and up-close look at his strategies and tactics, as his mujahideen venture into battle. Within two years, Dr. Husain will be proven right. The Red Army will indeed withdraw from Afghanistan. And their surrender will mark the beginning of the end of the Soviet Union. It would be several years before the Communist regime in Kabul would be overthrown. Sadly, Dr. Husain would not live to see that day. In the first week of July, 1989, he and more than 30 other of Massoud’s key personnel were ambushed and assassinated by a ruthless opposition group. 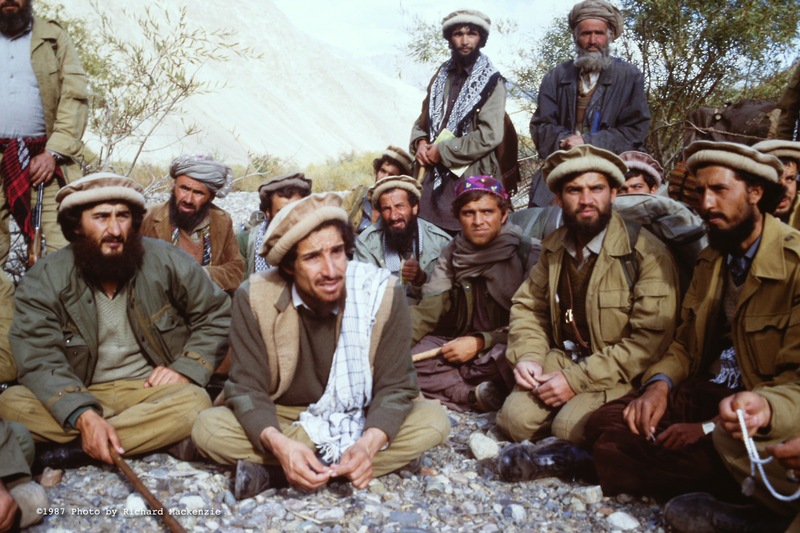 Dr. Husain (at left) and Ahmad Shah Massoud (second from left) had joined up to unify mujahideen in the North, with a goal of stretching far beyond the Panjshir Valley. As days stretched into weeks, more and more young men converged on our village, preparing for a battle yet to come. 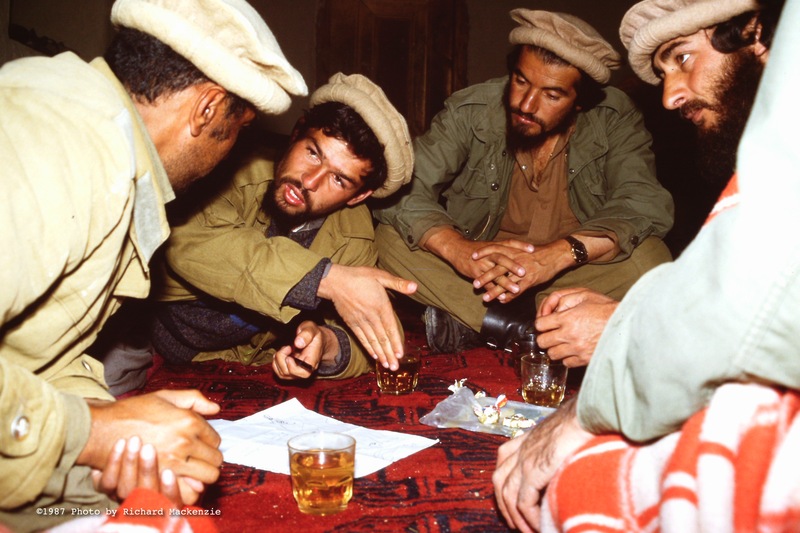 Over endless cups of tea sweetened with candy, Dr. Husain (at right) listens as Massoud’s key intelligence officers gather details for an imminent battle. 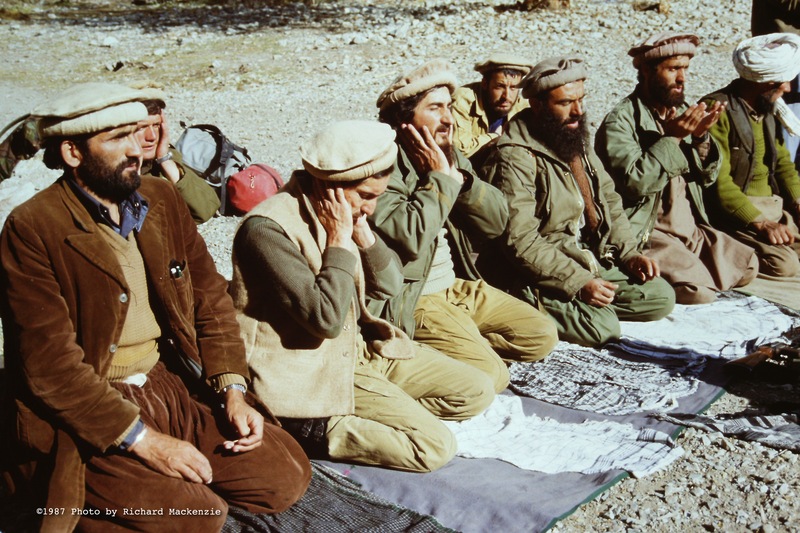 Driven by their faith, Massoud, Dr Husain and key commanders gather in prayer as they did five times a day, every day. This story takes me back to the 80’s when news trickled out of Afghanistan only through the efforts of valiant independent journalists and for those of us living in the west unlike today with internet and social media it was the only source of news. We would read and re-read each story and I recall the sad day when news came to us that Hekmatyar had ambushed these commanders. I wonder how things may have been if we had not lost these great men that day! I think even after Amer Sahib’s death how the leadership would have been different in particular the military role which was assumed by Mr. fahim. Dr.Sayed Husain, my dear father, was a commander, a politician, a medical doctor and a very professional lecturer. He did his best efforts to stand against the soviet union and communist government. according to memories and stories from his friend resistant commanders, he was a great man of battles and the pen. He did too much for his country and his people. I proudly say that I will continue his way and missions. Happy the souls of every Shahid of my country and my Wise Father. Thanks for uploaded unseen Photos of Martyr Ahmad Shah Massoud. Thanks for reflection of unseen photos as well as Afghanistan resistant and being part of this mission.